Whimbrels and other large shorebirds are champions of long-distance migration. Migration is one of the natural world’s great phenomena. Every years, billions of birds around the world move some great distance to find better grounds for hunting whatever it is they are after, be it grains, insects, fish, or something else entirely. 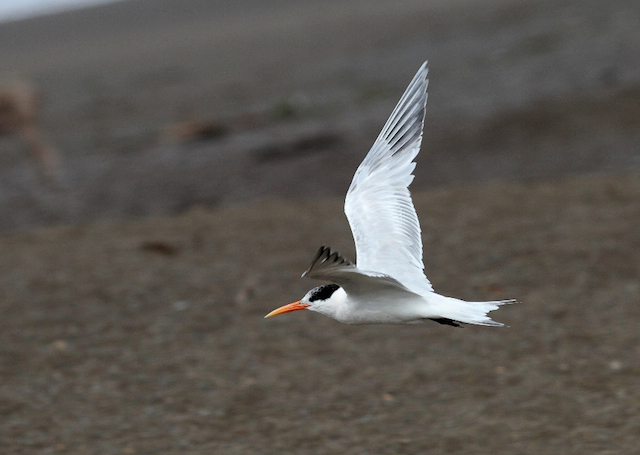 While the champions of long-distance migration, Arctic Terns, fly twice annually between the Arctic and Antarctic, there are many other extraordinary feats of migration. Bar-tailed Godwits, for example, fly for a week straight, without landing, from Alaska to New Zealand. Whimbrels can fly through hurricanes. Ruby-throated Hummingbirds--one of the world's smallest birds--fly across the Gulf of Mexico. And there are many other feats still to be discovered. Here in Chicago we are fortunate enough to be located on the shore of Lake Michigan, which acts as a major migratory pathway. Both waterbirds and landbirds follow the lake’s edge to help them navigate, and many end up spending the day (or several) with us in the city. Largely because of migration, 285 species of birds have been recorded in the area around the Field Museum. Springtime is famous for warblers passing through at their most colorful, bursting with song. They pass through again on their way south in the fall, although their colors are more subdued, their voices less ebullient. Migration is always an exciting time for birdwatching because you never know what might pop up in the bush in front of you. Not all birds migrate north in spring and south in fall. Elegant Terns Thalasseus elegans, for example, disperse northward along the Pacific coast in the fall after breeding in the Gulf of California. Photo by Josh Engel. Some birds, such as Common Redpoll, only migrate if conditions dictate they must. Photo by Josh Engel. This Cape May Warbler is one of millions of birds that migrates through Chicago each year. Photo by Josh Engel. Migration is a global phenomenon. This is an Asian migrant, a Little Bunting. Photo by Josh Engel. Some birds don't like to fly over water. These Blue Jays are considering migrating over Lake Erie. Photo by Josh Engel.